Save the Date: Alive from New York on May 4th! 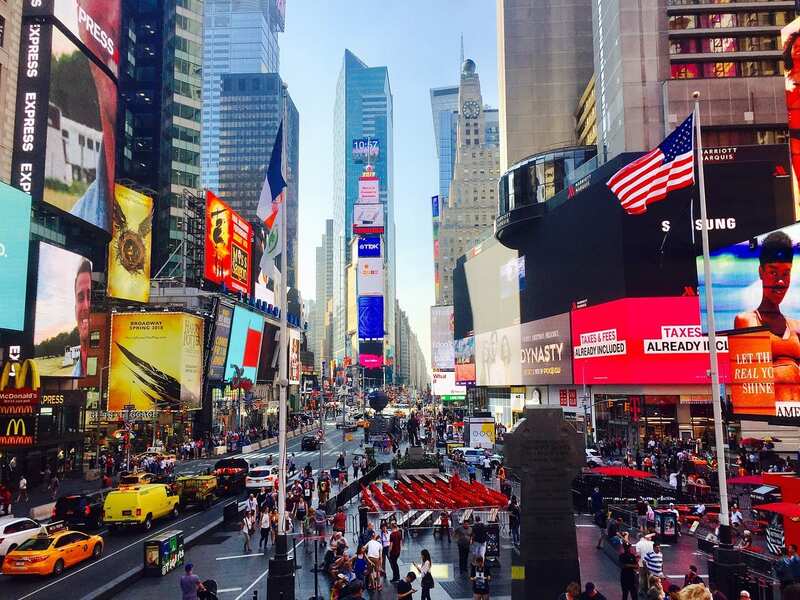 Planning is well underway for ALIVE FROM NEW YORK, our historic Times Square event scheduled for Saturday, May 4th. Featuring a live 4D ultrasound of a baby in the third trimester of pregnancy and broadcast on the jumbotrons in the middle of Manhattan, this celebration of life will also include live music along with an inspiring cast of speakers and well-known personalities. The goal of this unprecedented New York City event is straightforward but also profound. Our country is at a crossroads when it comes to the issue of abortion and life. That’s why we’re taking a stand at the crossroads of culture and media. “Alive from New York” will be a celebration of life, but more importantly, it will serve as a platform to show the world (through 4D ultrasound) that a third trimester baby is indeed just that: a baby. A life worthy of protection and deserving of respect. For over a century, Times Square has been the site of massive celebrations. There is the annual New Year’s Eve event, of course. But it’s also been a traditional gathering place for revelry of great national interest. Who can forgot the iconic images of deliriously happy Americans pouring into the area for both V-E Day and V-J Day at the conclusion of World War II, a devastating conflict that claimed between 70 and 85 million lives around the world, including over 407,000 Americans. In many ways, those World War II gatherings were also a celebration of life. After four years of bloodshed and the loss of so many hopes and dreams, Americans had grown weary and warmly welcomed the prospect of peace. Likewise, many of us have grown weary of the unfettered killing of American innocence. Nearly 60 million babies have been aborted since 1973. In fact, just three miles from where we’ll be gathering on May 4th, sits Planned Parenthood’s largest clinic. Over 11,000 babies are aborted there each year, an unfathomable fact for anyone who loves and cherishes life. So, our goal is to fill Times Square with joy-filled people who are committed to protecting pre-born life. So how do you get involved? How can you help? First, I encourage you to visit our website and sign the “Declaration for Life.” Your voice has power, and it needs to be heard. The Declaration will be delivered to the White House and Congress. This shouldn’t be a partisan issue, and I hope that protecting the lives of the pre-born is something that individuals of all backgrounds can unite on. I hope you will join us. This is a pivotal time in America and we, as Christ followers, must not remain silent!